Light & Darkness Radio: Featured Today! "Seventh Wonder, To/Die/For..."
Finally is Saturday!! Did you guys pre-ordered SX "Iconoclast" yet? or Europe Import? If not your missing of one of the best albums! feel free to request songs from it L&D have the Euro Imported (Just got it this morning Ty FedEx lol.) There's been new additions to the ever growing L&D library I bet you noticed \m/ there's near 16k songs so far and it keeps growing, Thanks all of you for making this possible! Now Here's Today Featured Bands! To/Die/For (FI) - The story of To/Die/For began in the early nineties when three guys from Kouvola, Finland formed a rock band called Mary-Ann. Back then founder member Jarno "Jape" Perätalo handled both vocals and guitars while Tonmi Lillman played the drums and Make Kanki played the bass. Over the years Mary-Ann's lineup grew with keyboardist Juska Salminen and guitarists Andy & J-P Sutela, while the bass-playing duties were handed over to Miikka "Sepe" Kuisma. During its existence Mary-Ann released two self-financed CDs, the latter of which, "Deeper Sin", included songs that would eventually end up on the albums of To/Die/For. In 1999 Spinefarm Records' Ewo Rytkönen checked the band live, and started negotiations to get the band signed to Spinefarm. After so many years of going unsigned, it didn't take long for Jape and the boys to sign their names onto the dotted line. Two things were to change though: the band's name and their style. The band's rock-attitude took a vampiric turn, giving the music a gothier edge, and the rock-band Mary-Ann became the goth-group To/Die/For (to those of you wondering about the name's origins: oh no, it's not related to the Nicole Kidman movie. It was actually just something that crossed the mind of a Spinefarm Records' employee). The band's debut All Eternity combined melodic goth rock to Jape's Stiv Bators-esque vocals, Joonas Koto's low-tuned & heavy guitars and the top-notch drumming of Tonmi Lillman. The band's first real hit though was not to be found from All Eternity's first version at all. While recording, To/Die/For had a bizarre idea of doing a cover version of Sandra's 80s hit single "In the Heat of the Night". After the release of All Eternity in late 1999 the band gave Spinefarm a CD-R with the cover song, and this recording spawned the band their first gold record, their first professionally shot music video, and added to their success abroad. Outside Finland To/Die/For was taken care of by such licensees as Germany's mighty Nuclear Blast and Japan's Pony Canyon. Sales took flight and success was imminent. In Autumn 2000 To/Die/For successfully toured Europe with Dark Tranquillity, SENTENCED and In Flames, and afterwards prepared to boost their career with another album. While recording, To/Die/For's bass-player Miikka Kuisma quit and was replaced by fellow Kouvola-lodger Marko Kangaskolkka. Not minding the change, their second full-length album Epilogue was released on the 7th of May 2001, after being delayed terribly due to the most annoying and disastrous joke ever: an endless musical loop placed onto the end of the album. The first single released from the album was "Hollow Heart", which proved to be a hit as a single mmediately hitting the top of the Finnish single-charts. The video of the same song played on music networks worldwide, and the song became a steady live favourite as well. After the release of Epilogue, the band spent a while on the road, touring Finland with NIGHTWISH, and Europe with Lacrimosa. In early 2002, To/Die/For played a bunch of shows in Russia and South America. After these shows, the band took a breather and wrote new material for their third album, Jaded. Line-up changes were to come first though, with Mika Ahtiainen replacing J-P Sutela on guitars. Jaded presented To/Die/For at their maturest, boasting an impressive array of catchy melodies and an unparalleled atmosphere that had been such an important part of the bands' sound ever since the beginning. It seemed that the dreaded third album that has seen many a band on the verge of breakdown, proved to be To/Die/For's finest work. But luck was to change after Jaded's release in 2003, as the insides of the band were completely torn apart. Jape quit To/Die/For and founded a new band, Tiaga, together with former HIM-keyboardist Juska Salminen, Mika Ahtiainen, and Santtu Lonka and Jarkko "Josey" Strandman of New Dawn Foundation. While Tiaga was taking its first steps, the remaining To/Die/For members Joonas Koto, Marko Kangaskolkka and Tonmi Lillman searched for a new singer to replace Jape. Meanwhile in Helsinki, Spinefarm Records was not keen on working with a Jape-less To/Die/For. Without his song-writing, they didn't see a bright future for the band. The name had already been established, and Jape was already recognizable as the band's frontman. Because of this strict business-oriented thinking, when Jape brought Tiaga's first demo to the Spinefarm office, instead of signing Jape's new band, the Spine-crew introduced a sneaky idea to him instead: shouldn't Jape register the band name To/Die/For to himself first? Knowing that doing such a thing would result in trouble and affect the relations between him and the remaining members of To/Die/For gravely, Jape still decided to do as suggested. The resulting turmoil was just as bad as was expected, but after the initial shock things calmed down. Tiaga became To/Die/For and headed for the studio to record To/Die/For's fourth album while Tonmi, Marko and Joonas of the old line-up went ahead in forming a trash metal band called HateFrame. 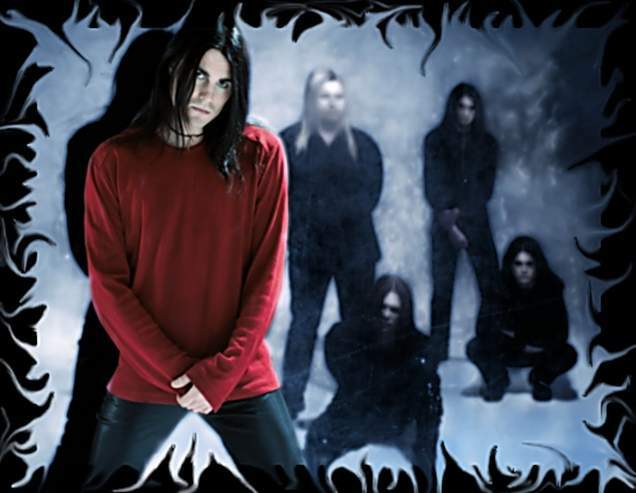 Joonas also continued working with his progressive metal group Malpractice who eventually signed to Spinefarm in 2005. With new bandmembers surrounding him, the band first headed to Mexico to tour for their latest album Jaded, and then Jape purged all those bad things of his life onto the songs on TDF's fourth album, bearing the self-explanatory title IV. IV was preceeded by the single "Little Deaths" , rising to the charts in Finland and becoming an album favourite outside the band's home country as well. Straight after the album release the band took to the European roads with Finnish glam rockers SoulRelic. When eventually, after constant touring and a busy schedule back home, J-P Sutela told To/Die/For he did not care to tour anymore, Soul Relic's lead guitarist Antza Talala was taken as J-P's touring replacement. With Antza handling the second guitar, To/Die/For played their first gig in Japan. The Japanese show convinced all of Antza's superb showman skills, and it didn't take long for To/Die/For to take him on as a full-time member. With a new member in their ranks, To/Die/For again continued to tour the continent of Europe, all the way form Turkey to the Canarias, from Russia to Greece, and back again. So constant was the touring that keyboardist Juska Salminen decided to take a break. This did not stop the band though, as Fostex's MR-8 (or "Mister Eight" as TDF calls him) was taken in as Juska's replacement. With a five member line-up TDF then successfully continued touring, moving from the continent of Europe to do a two week tour again in Mexico and a series of shows in Eastern Europe. Now on the brink of the recordings of To/Die/For's fifth album, the band will take a break of touring to make their new material into the best To/Die/For album yet. There will again be something old and something new, with shades of blue and staying true to the T/D/F tradition of choosing unexpected covers certainly something special on its way! On 4 October 2006 To/Die/For released their fifth studio album, entitled "Wounds Wide Open". After the promotional tour that stretched to October 2007, the band decided to take a break. 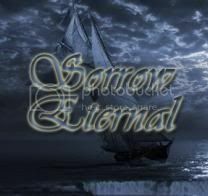 To/Die/For is currently working on a new album due 2011 "Samsara" together with their new website.